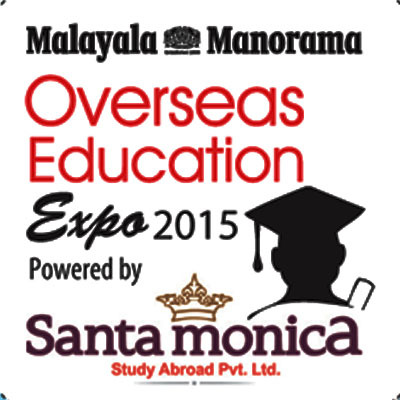 The Overseas Education Expo 2015, being organised by Malayala Manorama in association with Santa Monica, a leading overseas education facilitator, The Expo will be held on 10th and 11th April 2015 in Taj Gate way, Kochi. Aim of the Event: Aims of the Expo is to provide a common platform for reputed universities, colleges, institutes, students, eminent educationists and other stake holders in the education sector. The expo has also roped in a prominent bank, which will facilitate educational loans for eligible students, making it a major attraction. Attend and be part of the Overseas Education Expo and explore educational avenues like never before.